Are you always on the move? 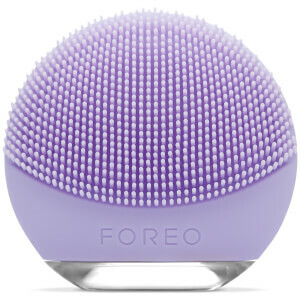 Don't sacrifice your skincare -- the FOREO LUNA go is your pocket-sized, complexion perfecting companion. Ideal for travelling, the LUNA go is the size of a cotton pad yet delivers the same powerful T-SONIC vibrations to stimulate and cleanse the skin. Ideal for any skin type, including oily, breakout-prone and ageing, the silicone surface is easy to clean and won't store bacteria. Go on -- take 2 minutes a day to work towards better, clearer skin.